Encouraged by quotes such as “if you can dream it, you can accomplish it” and “what would you do if you didn’t fear failure”, we decided to start exploring a future of living on the coast. Ok we had the vision but where should we concentrate on manifesting it? How does one decide where to relocate or retire to? The answer is as individual as the person or couple. Having determined our “must have” list, we had to fit it into our plans something mundane but necessary – what was practical. My husband Bob and I had met and attended college in Santa Cruz, California and had great nostalgia for the northwest coastal area however it was unrealistic given our east coast residence. We needed a location that would fit our needs through the years. It was important to be able to build something that we could enjoy with our still young family and then move to when we were empty-nesters and ready for retirement. We had vacationed several years in the Outer Banks of North Carolina and loved this area but ruled out the southern coastal states due to hurricanes. Other locations intrigued us but we could not afford them or they didn’t provide us with the excellent sailing/boating opportunities that called to Bob. We searched the internet, read magazines such as “Wooden Boat” and “Down East”, and shared our aspirations with and took advice from friends and sometimes strangers. We drew upon our experiences. We narrowed down our search to Maine. Previously we had taken a vacation with both sets of parents to Sebago Lake in Maine, spent a day exploring Freeport and shopping in the flagship L.L. Bean store, played tourist in the Old Port section of Portland, and visited the wooden boat show in Rockport. We were awed by the breathtaking natural views, charmed by the open and friendly people, and delighted by the clean, pure air and water. One of the most memorable days of my life was spent swimming in Sebago Lake with my mother who was in her 80’s and later the two of us going blueberry picking for a homemade cobbler. 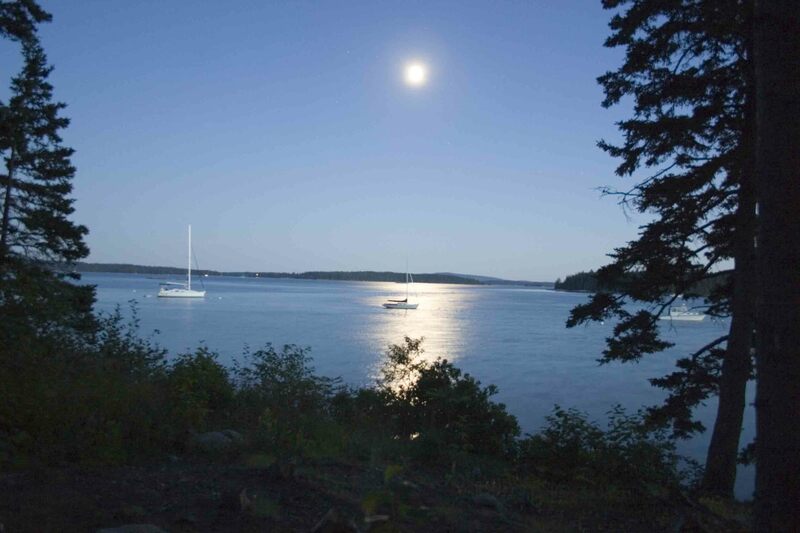 Another special memory was of our family sitting on the deck of a waterfront restaurant eating lobster, delighting in panorama of the boats bobbing in the ocean and the charming cottages on the shore, and thinking “wouldn’t it be wonderful if”. The soul and beauty of this rural state resonated with us. At the same time our research into real estate along the coast made it quickly evident that affordable property was available the farther north we went. However Maine has almost 3,500 miles of tidal coastline, more than any other state on the Atlantic Coast so we still had quite a bit of homework to do. We researched quite a few coastal communities in Maine throughout 2002 but it was a fluke event that led us to focusing in on Deer Isle. 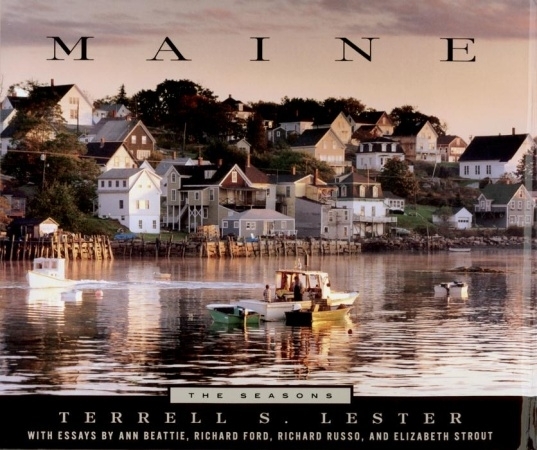 We were in the bookstore when I came across a book simply named “Maine – The Seasons” that featured rich images by a Deer Isle photographer Terrell S. Lester (www.thelestergalleryllc.com) and essays by such notables as Richard Russo, Anne Beattie, Richard Ford and Elizabeth Strout. Perched together on a comfortable chair in the bookstore, Bob and I delighted in the eye candy of Terrell’s pictures and soaked in the words of the accompanying essays. Yes! Yes! This was the kind of place we had envisioned. Rushing home we explored the websites from the Deer Isle-Stonington Chamber of Commerce (http://www.deerislemaine.com) and the internationally renowned Haystack Mountain School of Crafts (http://www.haystack-mtn.org/). The more we read, the more we believed we had found the place we were meant to be. 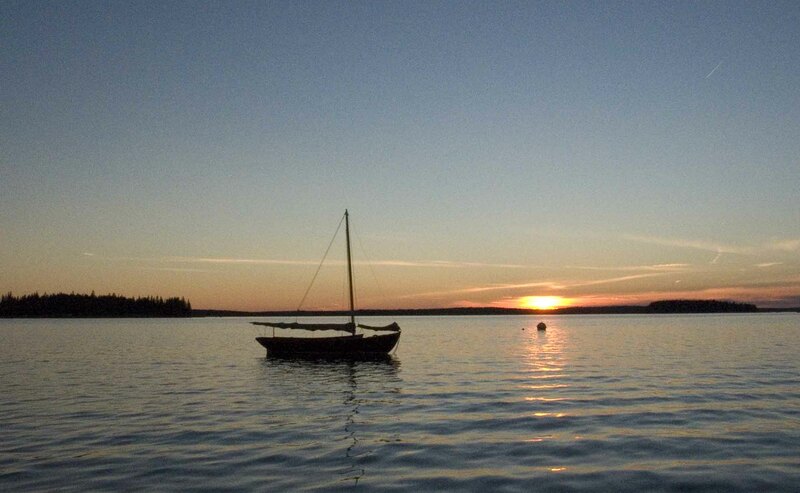 We limited our search to the area around Deer Isle, located some properties to visit, and planned a trip. This entry was posted in Building a Cottage, Retirement/Reinvention and tagged active, beach vacation, best vacation, Bob Wilson, Bob Wilson photography, Coastal Maine, community, deer isle, Deer Isle real estate, Down East Magazine, Downeast Maine, family trip, family vacations, Freeport, Haystack Mountain School of Crafts, L.L. Bean, living, maine, Maine real estate, ME, New England, photography, photos, Portland, real estate, retire, retirement, Robert Wilson photography, Sebago Lake, senior, Shawn Phillips, Terrell S. Lester, vacation, vacation spots, Wooden Boat Magazine. Bookmark the permalink. 10 years and should have come long ago.